Nu-Heat has introduced new Solar Thermal panels to their EnergyPro® range, offering installers the same outstanding quality at a lower price; 30% less than before! A Solar Thermal system, such as EnergyPro®, uses solar panels to collect heat from the sun. The energy captured from this process is then used to heat water. Solar energy is an unlimited resource that produces no harmful emissions and requires no transportation or supply pipelines. Due to the increasing demand for Solar Thermal systems, Nu-Heat has utilised their buying power to purchase the new EnergyPro® Solar panels at a great price, passing savings back down to the customer. Nu-Heat’s EnergyPro® Solar Thermal range is MCS certified and can be fitted independently or be integrated with an underfloor heating system and/or heat pumps. The flat plate panels are made by a leading European manufacturer and utilise the latest collector technology to maximise performance. All components are designed, manufactured and rigorously tested to the highest standard. Installing a Nu-Heat EnergyPro® Solar Thermal system is quick and easy with the majority of properties not requiring planning permission to do so. The new EnergyPro® panels are also eligible for the Renewable Heat Premium Payment (RHPP) until March 2014 and the Renewable Heat Incentive (RHI) when fitted by an MCS approved installer. The financial support available to a homeowner through schemes such as the RHPP and the RHI are great reasons to recommend this technology to your customers. A well engineered Solar Thermal system can generate up to 60% of a household’s domestic hot water needs on average – a major incentive for any homeowner. 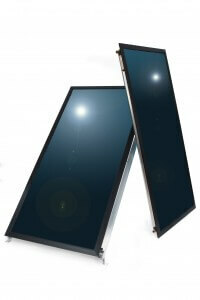 Find out more about Nu-Heat’s EnergyPro® Solar Thermal range here.